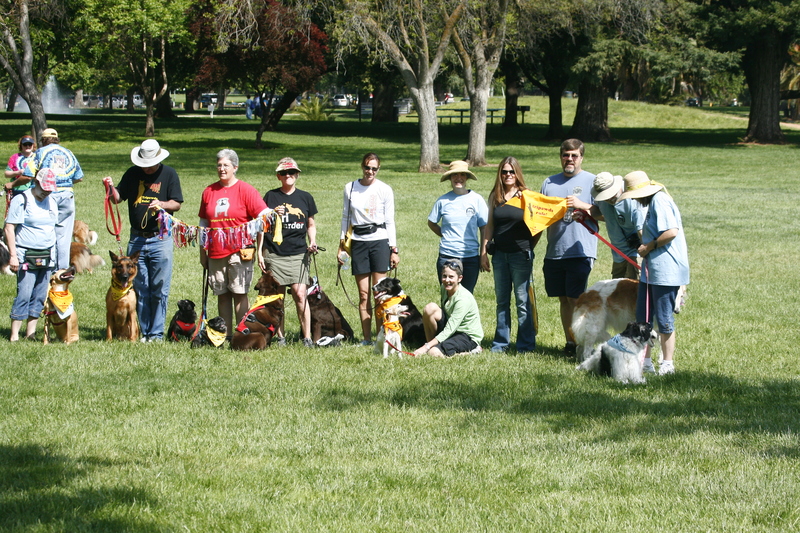 Thank you everypawdy who walked with Team Tripawds at the Cure Canine Cancer Walk in Elk Grove! Together, we helped the Morris Animal Foundation raise over $50,000 to help find a cure for canine cancer. 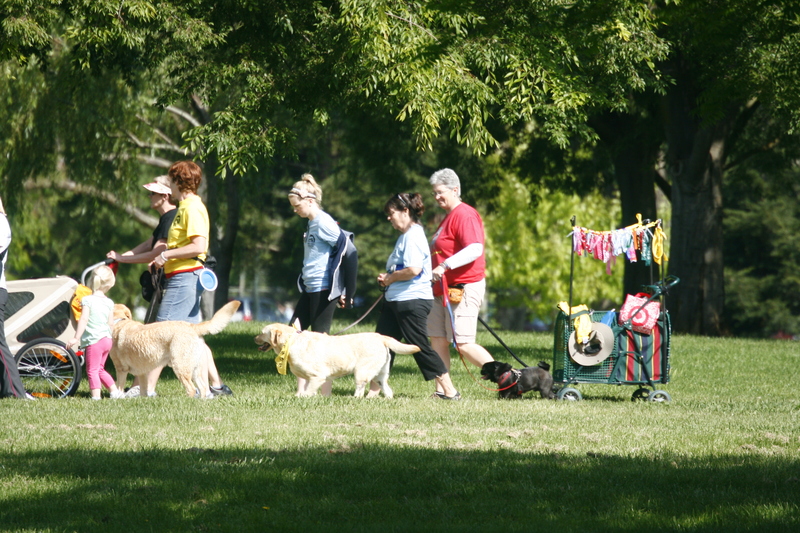 On Saturday April 29, over 600 walkers gathered in Elk Grove near Sacramento to walk in support of Morris’ groundbreaking work to end canine cancer. Team Tripawds raised a whopping $1,540, more money than ever before, which propelled us to the 8th most successful fundraising team out of 30 that registered. The Tripawds Tribute leash also made its first public debut. Stay tuned for an update about this beatiful project from Modpawd Karen. Ruby the Wiggle Dancer posted fun photos from the walk, visit her blog to see more! Currently cancer is the no. 1 cause of death in dogs over the age of 2. Morris Animal Foundation will use proceeds from the walk to fund studies that will help create a healthier tomorrow for dogs. Through Morris’ Cure Canine Cancer campaign, they are currently funding more than 35 canine cancer studies. In 2011, Morris studies yielded a number of promising results, particularly in the areas of treatment and genetics. New developments like these are taking place all the time, and each one brings us one step closer to better preventions, treatments and, one day, a cure. Thank you Team Tripawds, we are honored that you chose to support the efforts of this pawesome organization! Very exciting! So great to read about how successful the walk was and how the Tripawd Team did an outstanding job! I loved seeing the photo, too, with the leashes tied with ribbons representing our tripawds (mine was “Luna”), both living and waiting for us at the Rainbow Bridge. Jerry would be proud, too! !